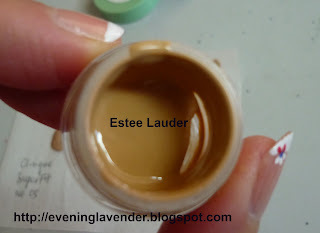 If you read my post frequent enough, you will know that I hardly use liquid foundation. I had this phobia of liquid foundation because I am afraid that it will clog my pores and makes my oily face even more oily. So, I seldom buy liquid foundation except Revlon Color Stay which I did a review earlier. I only used it when I am attending my friend's wedding or any event. 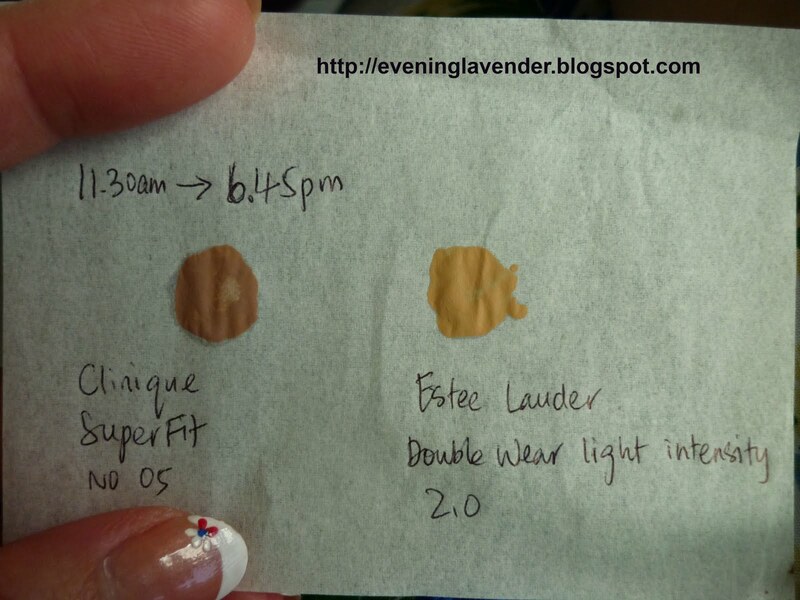 I got samples of Clinique Superfit (Color No 5) and Estee Lauder Double Wear 2.0 sometime ago and will share with you my thoughts. Both foundation are for oily skin. Both foundation blends easily but Estee Lauder double wear appears thicker and heavy on the face. 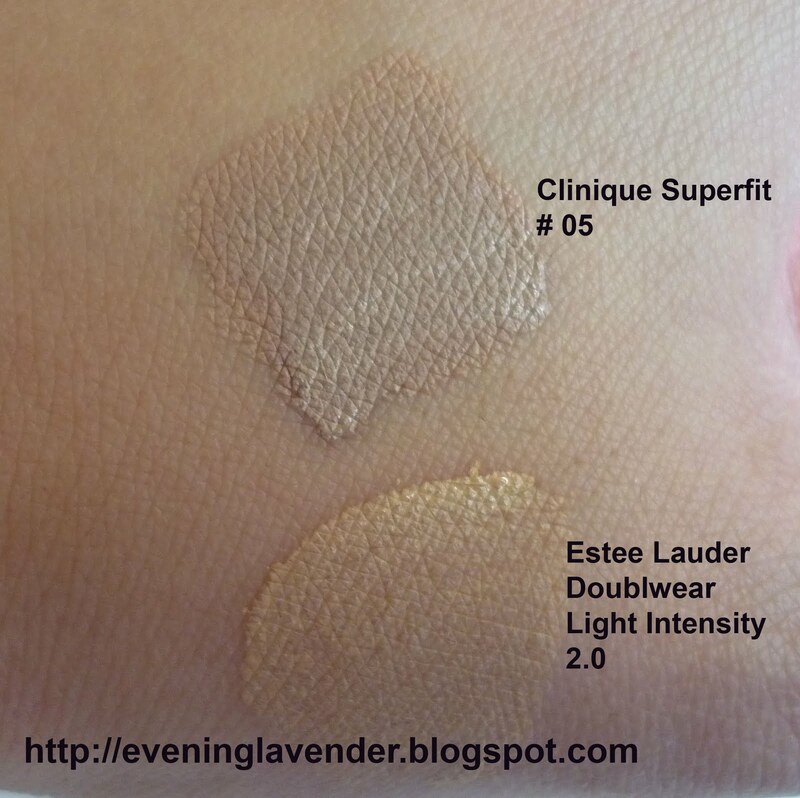 The Clinique Superfit blends super well into my skin and looks very natural. I also did an "oil content test". I put the foundation on a blotting paper and left them for about 7 hours. Both foundations passed the test with flying colors. You can't really see the oil patches. 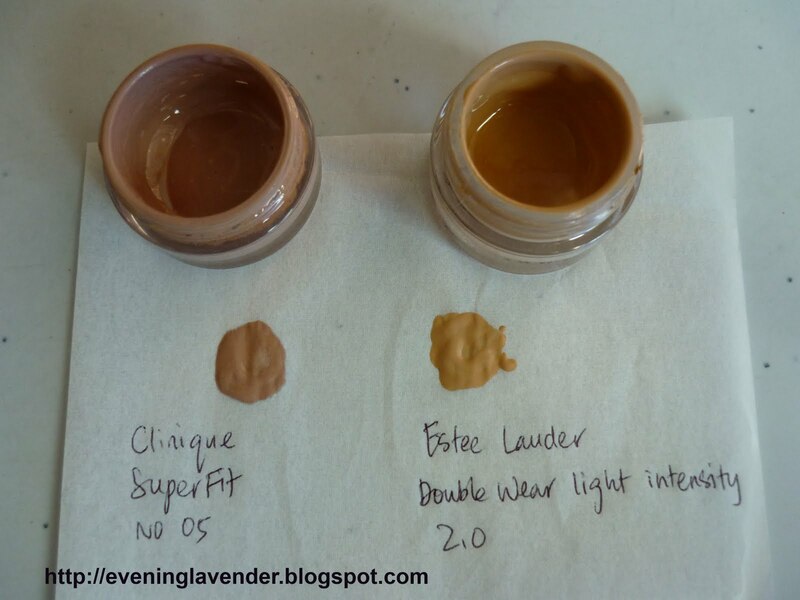 So, if you have very oily skin like me, I would recommend you to try Clinique Superfit. If I remember correctly it is RM109 for 30ml. 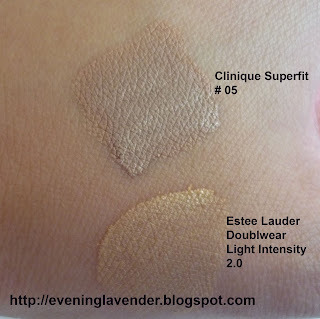 Would you like to share with me your skin type (oily, dry, combination, sensitive etc) and your HG or star liquid foundation? I've been eyeing that Clinique foundation, but the lightest shade was way to dark for my winter skin. My skin is currently on the oily side of combination and most foundations tend to look awful on my nose and emphasise my pores. In the end I shelled out a lot of Euros and got Bobbi Brown Skin Foundation SPF 15, which is amazing. 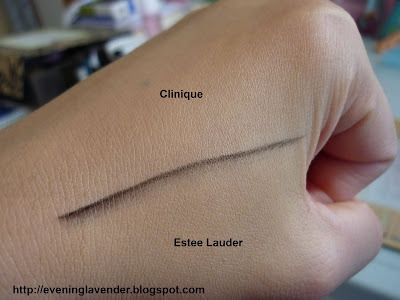 Fairly sheer (I prefer to conceal rather than cover up my whole face), available in a huge range of shades, blends well, I can barely feel it and I don't have to worry about touch-ups for hours. I heard great deals about Superfit makeup!!! i'd love to give it a try! :) Thanks for this! I have Clinique Superfit too and I love it! The only bad thing is that here in Portugal, the 05 is the lightest color, and this color is a little too dark for me in the winter. Greast review! I love your review, it is very detailed, reviews from different angles and has colour accurate pics! Great comparisons! Thanks for your meaningful sharing. Will try Bobbi brown one day. Yes u can give it a try one day but I am not sure if it suits dry skin. Oh may be u can find another shade online or when u go overseas. We have so many colors here. Glad that u like my review. U eencouraged me a lot. Thanks. this is the only thing that I have - facial blotter. Glad that Bourjois worked for u.